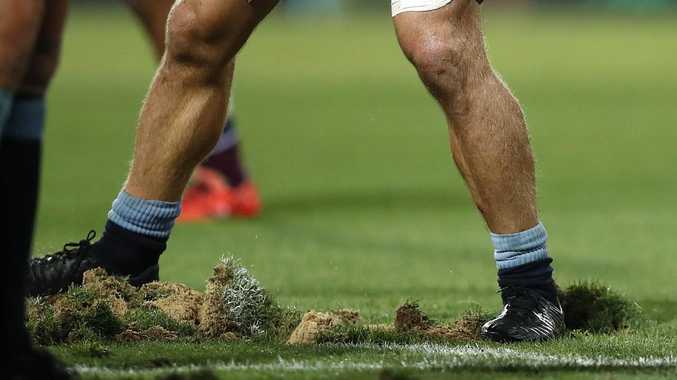 The countdown to Friday night's NRL blockbuster between the Sydney Roosters and South Sydney has been thrown into turmoil over fears of the state of the Sydney Cricket Ground playing surface. In the wake of Saturday night's Super Rugby clash where Reds coach Brad Thorn expressed his disgust at the surface, News Corp can reveal an emergency meeting will now go ahead at the SCG at 3.30pm today where representatives of the Roosters, Rabbitohs, NRL and SCG Trust will be present. It is understood the plan is to replace large sections of the playing surface starting tomorrow morning with large pallets of turf that is ready to play on virtually immediately. South Sydney head of football Shane Richardson today told News Corp he was extremely concerned about the issue of player welfare. 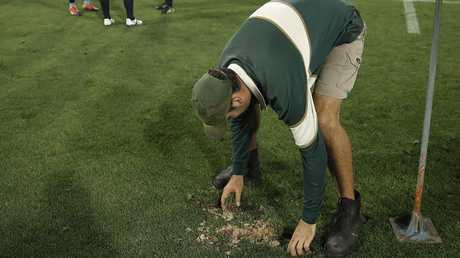 In bizarre scenes on Saturday night, SCG ground staff were forced to run onto the field between stoppage in play to stamp the ground back into place. At one point the referee late in the match referee Glen Jackson told ground staff: "This is dangerous, this needs to be fixed." NRL head of elite football operations Graham Annesley told News Corp this morning player welfare was paramount. "I just want the two competing clubs and the NRL to be comfortable with plan and to be assured that everything will be in place for Friday night's game," Annesley said. The cost of the exercise would be significant however the trouble with potentially moving the game to another venue like ANZ Stadium poses its own complications given ticket sales and corporate membership packages have already been sold. 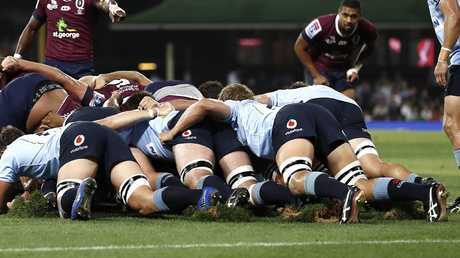 Richardson told The Telegraph this morning he viewed Saturday night's Super Rugby debacle and said of the surface: "It was very, very ordinary. "There were clumps coming out everywhere. "We want to have a look at it. "It is just safety for both teams, not just us." The Rabbitohs understandably have extra reason to be concerned given superstar captain Greg Inglis is racing the clock to be fit after struggling with a knee complication all summer. 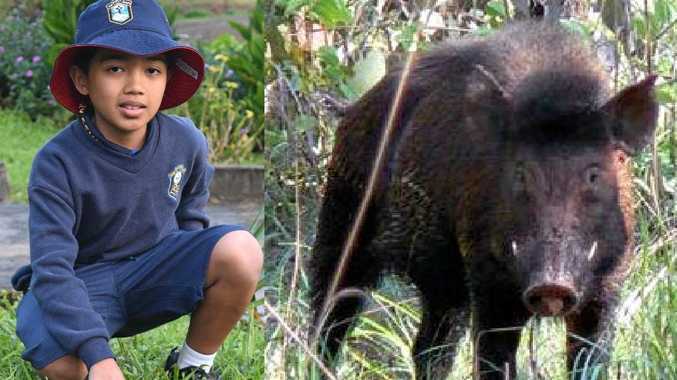 The last thing Souths would want is to run Inglis out and potentially risk his welfare on an unstable surface. "There are three things you can't play without. You can't play without a football, a referee and a ground," Richardson said. "So the bottom line at the end of the day is that we just have to make sure the ground is up to standard, and we will do that in conjunction with the Roosters and Annesley and make a decision after we have a look at it." Annesley added. "Clearly I became aware of it late last night and this morning I have already been talking to my guys about trying to pull together an inspection of the pitch and a meeting with the Trust today. "It is obviously critical and we need to understand the extent of the issue and what can be done about it between now and Friday." Asked if there had been preliminary contact made with ANZ Stadium about possibly switching venues, Annesley said: "No, we haven't thought about any alternatives at this stage."